Manuel Blanco Romasanta was Spain’s first documented criminal psychopath and serial killer – he was also believed to be a werewolf. 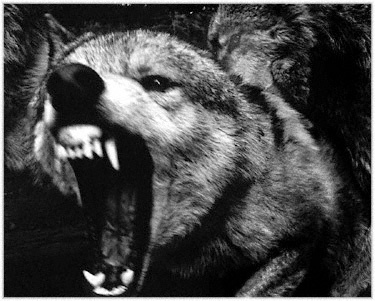 Romasanta confessed to thirteen murders in the mid-nineteenth century and he told the court which tried him that he was afflicted with a terrible curse that turned him into a ravenous wolf. But was he really a werewolf? Manuel Blanco Romasanta was born in the small village of Regueiro, Orense province on November 18, 1809. Considering the times, he did quite well – he knew how to both read and write, which was pretty uncommon at the time. Romasanta eventually worked as a tailor, but when his wife died he then left home to become a traveling salesman. When traveling outside of Galicia, Romasanta got his very first murder charge. Vicente Fernández, the constable of León, was found dead and Romasanta was judged by default for failing to appear in court. In 1844 he was sentenced to 10 years. But, he had returned to the mountains of Orense and used the village of Rebordechao, in Vilar de Barrio, as his hideout while he continued to work as a peddler. During this time quite a few women and children connected with Romasanta had disappeared. He offered to act as a guide to newcomers in town looking for work; he even brought back news for their families. Seven of these women and two children traveling with their mothers were never seen again. And Romasanta, being the idiot that he was, made the mistake of selling his victims’ clothes. On top of that, there were also rumors that he sold human fat. The court ended up acquitting Manuel Blanco Romasanta of four of the murders he confessed. Why the hell would they do that? Because there was forensic evidence that the victims died in wolf attacks. Seriously. But of course, he was found guilty of the other nine murders, and in April of 1853was sentenced to death by garrotte (a silent tool that strangled people). But that wasn’t the end of Romasanta’s story; a few appeals took place, including one from a French doctor who wanted to study the Wolfman of Allariz. He appealed to Queen Isabel II and she issued a ruling on May 13, 1854, withholding her permission for the death sentence to be carried out on the basis of his appeal, but no actual investigation ever took place. There’s no official record of what happened at the end of Manuel Blanco Romasanta’s life. We do know that that the Queen ordered him transferred to the prison in Celanova to serve his sentence. That prison no longer exists, and there’s no documentary evidence that he was ever even in Celanova. There’s also no solid evidence of his death or burial. So what happened to him in his final days? Well, that’s where the info gets shaky – the locals in Celanova say he died shortly after arriving at the prison from a strange illness. Then another rumor claims he died after being shot by an officer who wanted to see him transform into a wolf. But the craziest rumor was that Romasanta escaped from the prison and continued to roam the woods as The Werewolf of Allariz.